A beautiful quote on friendship stated by Lois Wyse. 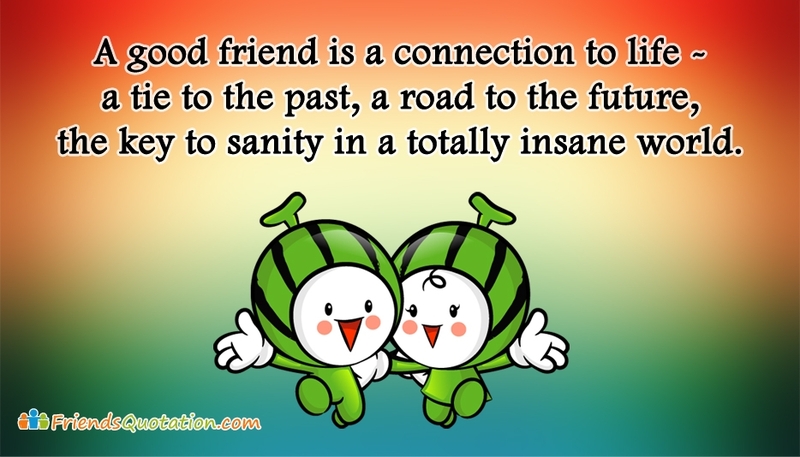 The quote is "A Good Friend is a Connection to Life - A Tie to the Past, A Road to the Future, The Key to Sanity in a Totally Insane World ." The author brings out the role of friendship in every walks of life. Friendship is the road of destination. A good friendship would keep us healthier and stronger.